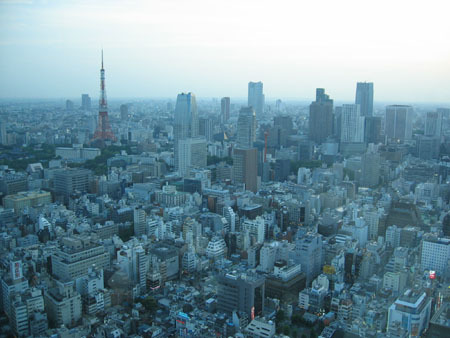 I visited Tokyo from 21-24 May. 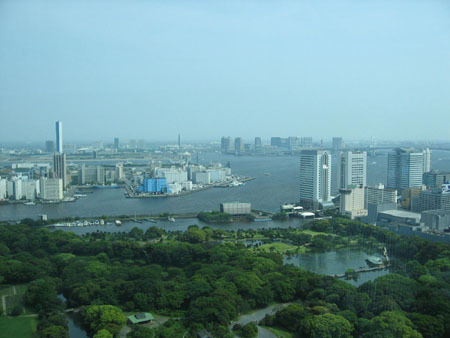 Not a real story because I visited Tokyo to attend a conference. I want to show you some pictures I made. It gives an impression how I look at any new city I visit. When do I grab my camera as a first time visitor in a city I have never seen before. 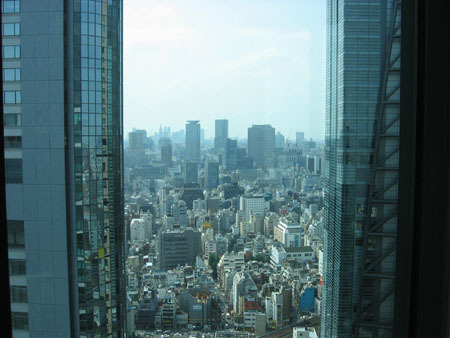 I guess one of the things most visitors will try to capture with their camera's is the incredible size of Tokyo. 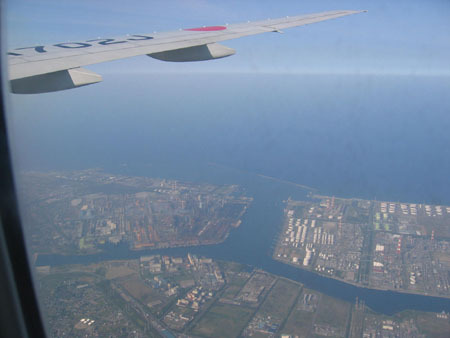 Japanese coastline, nice combination with the famous rising sun symbol on the wing of the plane. 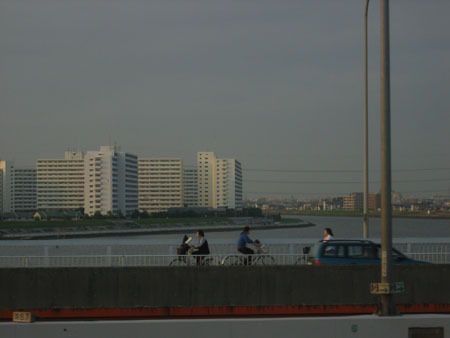 Bicycles in Tokyo, on my way from Narita airport to Tokyo City Airport Terminal. 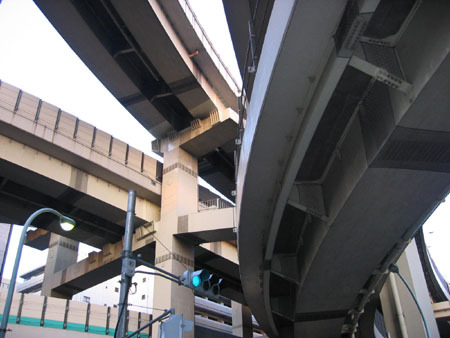 Elevated highways, viewed outside the 7-eleven close to Tokyo City Airport Terminal. 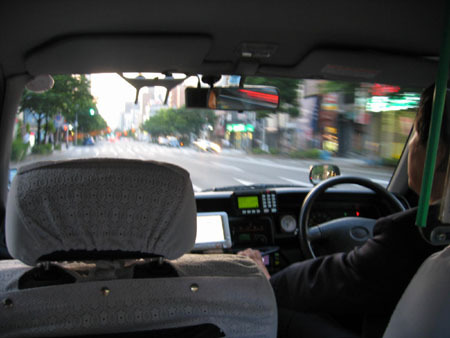 Japanese taxi, the backdoor opens and closes automatically! View from the reception area of the Conrad Hotel, not bad at all. 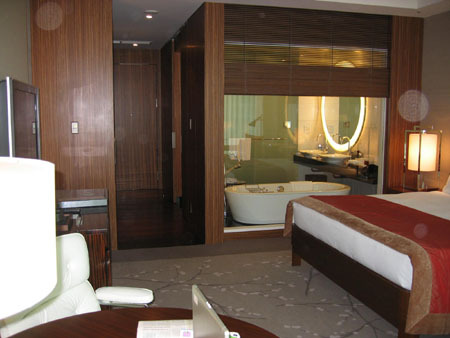 One of the most luxurious 'basic' hotel rooms I ever had. Everything is operated by remote control, including the curtains and blinds. View from a conference room. Downtown Tokyo with the famous Tokyo tower. A broadcasting tower and apparently higher than the Eiffel tower although it doesn't look higher.